If you are interested in attaining an education to pursue or advance a career in marketing, an important question has probably crossed your mind: “What is a Marketing MBA degree?” By reading the information found below, you can obtain an answer to this question and several others that pertain to the field of marketing. Although broadly defined, marketing is basically an advertising process that involves communicating the value of a business’s services and/or products with prospective customers. 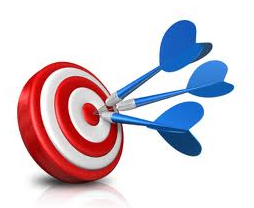 The end goal of marketing is to sell the business’s goods or services. Individuals who want to advance their careers in marketing often opt to obtain a Marketing MBA degree. Generally, these degrees are designed to equip students with an understanding of the theories that shape business practices. Additionally, Marketing MBA degrees are designed to provide students with the transferable skills that can be used to excel within fields that merge the worlds of business and marketing. Some of the subjects that students who enroll in Marketing MBA degree programs are likely to explore include the effects that marketing has on an organization as well as how to build and develop marketing strategies that will be effective in contemporary and perpetually evolving economies. Earning a Marketing MBA degree also prepares students to integrate international and ethical business concerns. Students who choose to attain the degree can specialize in a variety of topics, including positioning and research, targeting, market segmentation, channels of distribution, pricing, marketing budgets, and sales management. 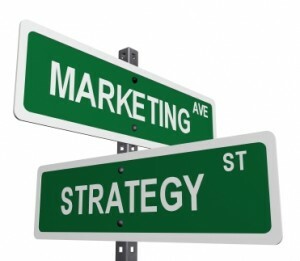 The role of the marketing manager is to generate interest in a business’s goods and/or services. To accomplish this objective, marketing managers work with financial staff members, sales agents, and art directors. A marketing manager can expect to earn about $115,750 annually, according to the Bureau of Labor Statistics. A sales manager is responsible for directing an organization’s sales teams. Some responsibilities of the job include analyzing data, setting sales goals, and developing training programs for company sales representatives. Sales managers will generally earn about $105,260 annually, according to the Bureau of Labor Statistics. If you are thinking about pursuing a career in the field of marketing, you should know that obtaining a Marketing MBA degree can help you accomplish your objective. Now that you have an answer to the question “What is a Marketing MBA degree?,” you can make an informed decision regarding whether pursuing this educational path would be appropriate for you.